"Fiona's support enabled us to not only emotionally prepare for the birth of our daughter but made the whole experience less full of fear and one we will cherish." My name is Fiona and I'm a qualified Shiatsu practitioner and doula in Frome, Somerset. I have been supporting mothers and babies since 2002, so I am an experienced and unflappable birth partner! I also teach belly dance for women and my classes are suitable for pregnant women and new mothers. I am also a BIRTHING FROM WITHIN® mentor and doula. I have recently completed a year long training with The School of Shamanic Womancraft, and have completed my mentor training with The Journey of Young Women. I have been fortunate to have studied with leading birth professionals, such as Michel Odent, Janet Balaskas, Mary Cronk, Jane Hardwicke Collings, Suzanne Yates, Gail Tully, Penny Simkin, Gail Hart, Betty Anne-Daviss, Sheila Kitzinger, Uma Dinsmore Tuli, and Pam England, among others. 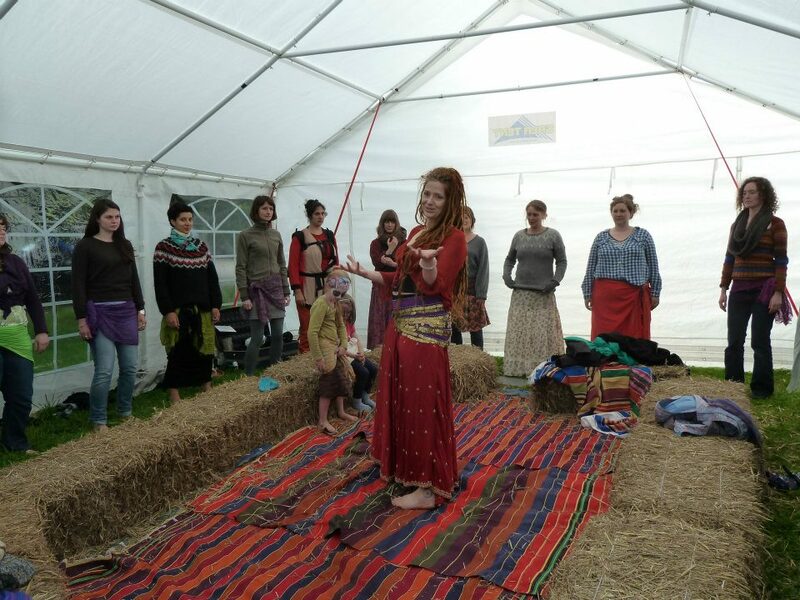 Some of these workshops include topics such as Active Birth teacher training, breech birth, shiatsu for pregnancy and birth, Optimal Foetal Positioning, supporting sexual abuse survivors, water birth, shamanic work for women and Birthing From Within. I am the mother of two children who were born at home, as well as babies that unfortunately didn't live to be born. I was lucky to have the support of the local La Leche League group when I had difficulties with breastfeeding both of my children, so I understand that although breastfeeding is natural, it can be challenging at times. Peer support is important for mothers and can help us all have a positive experience. I have a dedicated yoga practice which I find helps me create moments of calm in my busy family life, and I plan to train as a yoga teacher in the future. I love to sing, and find I am always in awe of the power of a woman's voice during birth. To sing is to open the heart, and to vocalise (or sing!) during birth allows the heart and the body to open, and to go with the flow. I am currently exploring writing some new songs and using my voice as a healing tool, and was delighted to be invited to sing at the recent "Whose Birth Is It Anyway?" conference in Bath. 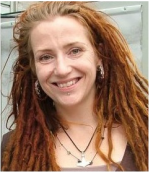 I have a love of shamanic healing and exploration, which started nearly 20 years ago when I began my training with Caitlin Matthews in Celtic Shamanism, and was rekindled more recently when I trained with Jane Hardwicke Collings in Shamanic Womancraft. This year I have been stretched and challenged on the Four Seasons Journey with Jane, and I am very excited about deepening my shamanic practice. I offer my services for women who wish to explore shamanic journeying for healing their menstrual cycle and to celebrate their menarche, menopause, mother blessing and preparing for birth. You can also use this process to meet your unborn baby, and to find your child's song - this can be a lovely way to connect with your baby, and will be a song that you and your child will treasure forever. I have also trained extensively with women's health and leadership expert Alexandra Pope. Alexandra's work with Menstruality ("women's physical, psychological and spiritual wellbeing based on the cycle and the journey from menarche to menopause") is groundbreaking, and I feel honoured to have completed the Women's Quest apprenticeship training with her. I am available for menstrual health mentoring to assist you in navigating the ups and downs of your cycle and finding your own personal gifts; please get in touch for more information. I have recently completed training with Journey of Young Women to be a mentor and run circles for girls and young women; feel free to get in contact if that is something that you are interested in for your daughter. I love supporting women with their health and their mothering journey and have been supporting women and their families for over 13 years and am now expanding my work to supporting women with their fertility. I am committed to supporting you to have a positive and fulfilling pregnancy and birth experience and will share with you the information and snippets of wisdom that I have found over the years. I have a wide variety of skills that I am able to share with you to enable you to feel fully supported, nurtured, and empowered. I also run the home birth group here in Frome, have strong links with the local branch of the La Leche League, and have been trained by the NHS as a breastfeeding peer supporter. I am available to support women in Somerset, Wiltshire and Bath as a menstrual or childbirth mentor, therapist or doula. If you'd like to find out more about the kind of service I offer, you might like to read about the experiences of some of the women I've had the privilege to support. I love to travel, so if you'd like me to offer a workshop or training in your area, please get in touch. To find out more about how I may be of service to you, please email or call me on 07930 100151. "The doula's role has often been described as "mothering the mother". The doula is employed primarily by the woman to listen, support and respond to her needs. The doula is not there to replace or exclude the father, partner or other family members or to intrude on these relationships. The doula's actions are never driven by her ego but by sensitivity and unconditional love."